Choirs from as far afield as India will be heading to Cardiff to compete at an international competition where the adjudicating panel will include a royal composer. This is the second year of International Choral Festival Wales which will be held in Hoddinott Hall at the Wales Millennium Centre, Cardiff Bay over the Easter weekend [19-21 April]. 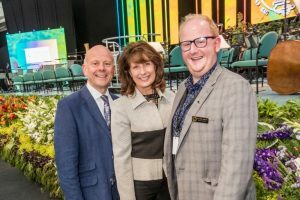 The Festival is the brainchild of one of Wales’ leading choirmasters, Eilir Owen Griffiths, former Music Director of Llangollen International Musical Eisteddfod. He will also chair the adjudicating panel which will include Paul Mealor, who shot to worldwide fame after writing Ubi Caritas et Amor for the wedding of Prince William and the Duchess of Cambridge in 2011. Professor Mealor also composed Wherever You Are, which became the 2011 Christmas number one for the Military Wives under the baton of Gareth Malone. 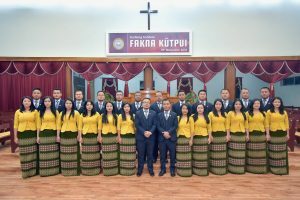 Among the competitors will be a mixed choir called Mizoram Synod Choir from India. 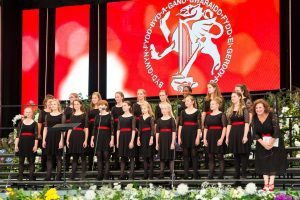 They will be battling it out against Codetta Youth Choir of Derry, Ireland; the Cantabile Choir of Hereford, England as well as a host of Welsh choirs. According to Eilir Owen Griffiths, a senior lecturer in the Performing Arts at the University of Wales Trinity St David, the idea came from a discussion with members of his award-winning choir, CF1, about creating a choral festival that would attract choirs from across the world to the Welsh Capital. The choirs will compete on Saturday 20 April, before coming together for a series of workshops on Easter Sunday. The headline sponsor for this year’s event is the pioneering care organisation, Pendine Park, via their Pendine Arts and Community Trust which was set up to support arts-related and community activities. Griffiths said: “I’m thrilled we will be welcoming Mizoram Synod Choir and a host of other international choirs. We wanted to have an educational element to the Festival and have top choral experts on hand to both adjudicate and offer advice and guidance.